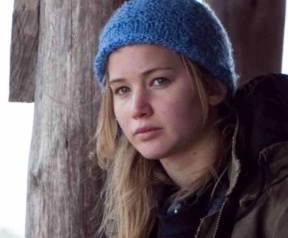 Winter´s Bone is one of the nicest surprises of the year in film releases. A well rounded film that starts slowly but traps you step by step. It seems that nothing is advancing, but many things are happening around the life of young 17 years old girl Ree (superbly portrayed by Jennifer Lawrence), an inhabitant of the region of Ozark Mountains. Following her through her odyssey of finding the corpse of his drug dealer father to save his house and family is an unique experience to get immersed in a sub-culture where the normal rules do not apply; tradition, family bonds, special slang, a particular way of living of those tough people… Everything is cared to the detail by director Debra Granik. More than finding answers to the fate of Jessup, Ree´s father, this is a little homage to the Ozark region, with its good and bad sides. Mention apart for the character of Ree´s uncle, Teardrop. John Hawkes really owns the show every time he appears on screen. I do not remember for a long time to see a character that can display so much power and danger just with the presence around. In fact, he hardly portrays any violent moment during the whole movie, but one has the feeling from the first second you see him in his house that he is a guy you do not want to mess around in a bar if you want to continue breathing. A great story with great acting skills, and a very well adaptation of the original book.